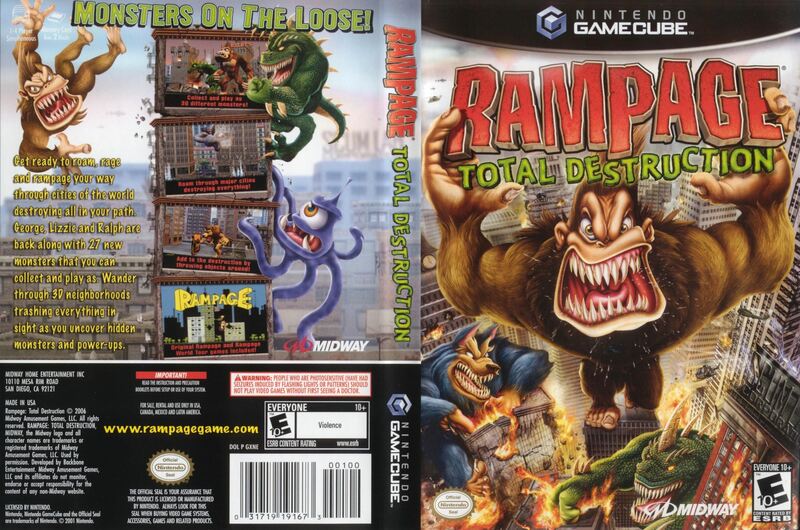 Rampage is the video game you always wanted to play and maybe didn’t know it existed, the games usually consist of George, Lizzie, and Ralph who are giant kaiju that you control and get to destroy the city as you pass through levels as a giant Gorilla, Lizard or Wolf respectively. Yes, the game is as awesome as it sounds, it can get a bit repetitive but it’s meant for some fun single or multiplayer fun. Sadly it is a somewhat obscure popular franchise that has had scattered releases and forgotten for many years at a time. Let’s take a look at the history of games that this franchise has given us. 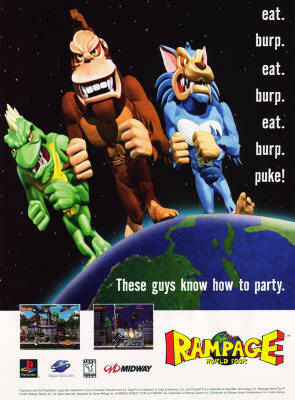 The original game released on arcades and then on various consoles through different ports let’s you control your main three giant monsters as they rampage through the United States of America, different versions included different cities and slightly altered gameplay. 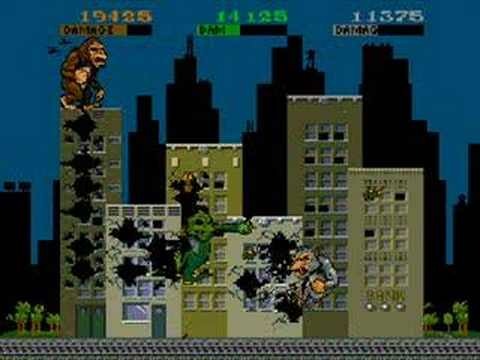 There wasn’t much of a story but it wasn’t needed as you controlled a Godzilla, King Kong look alike to destroy buildings and the Army attacking you, and hey why not also the other kaiju if you’re playing multiplayer. 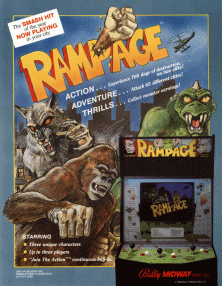 Oddly enough the franchise took a long hiatus after the success of the original Midway game and didn’t return until the first 3D era again on arcade and various consoles available at the time since it also received many ports. With a far more cartoony look it was a success since people hadn’t played something like that before, the game was a bit more level oriented but kept the idea of the original. A story mode giving us more details on these humans that transform was also given and showed us how this time the Monsters destroy the world. After the success of the revival of the series we got another game with the same idea, but this time going through out the universe, adding new characters and planets to wreck havoc through it was met with less enthusiasm but still some recognition. No arcade game was made for this one and less ports were also made in general. The story continues with Scum Labs continuing their shady experiments. 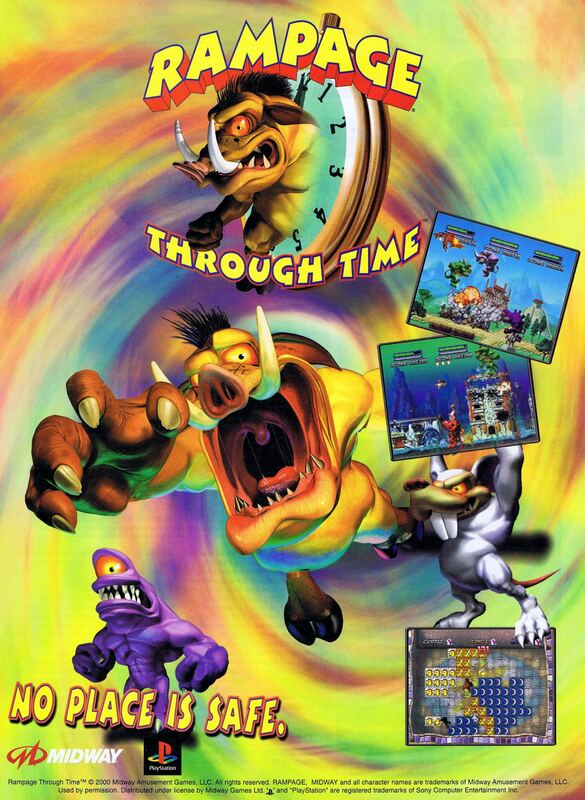 This third game released shortly after was a bit more obscure releasing only on one console and at the end of its life, following the same basic idea this time you had the classic monsters as well as some new additions travelling through time and destroying the world through different eras. A novel idea but at the same time it was more of what we’d already done. A Puzzle version of the game did come out a bit later. After taking another break, the franchise released another game featuring some new ideas and 3D gameplay, this time giving us dozens of monsters to choose from as we battled through different cities again and different hazards. A bit less polished than the previous games in the series, it still provided some fun as we got to control monsters wreaking havoc through out and at least once again getting a few ports of the game out there. This game even featured ports of the original arcade and world tour games as bonuses. 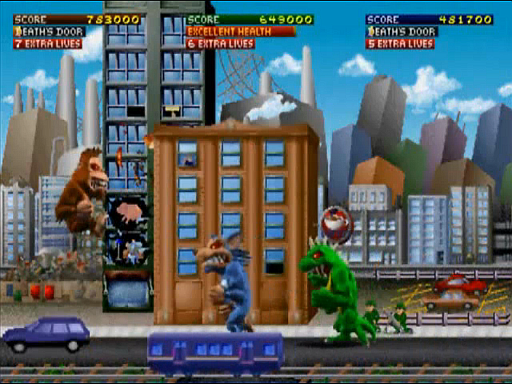 The franchise has been taking another long break since this last game but the potential is there for a fun arcade giant Kaiju monster battles and hopefully the franchise will get another hoorah where some dumb fun and destruction can take this rather basic game and propel it to a more legendary status.